Rock your comms with Valo! Build your ideal digital workplace with the award-winning solution. Ready-made Features - All you need. 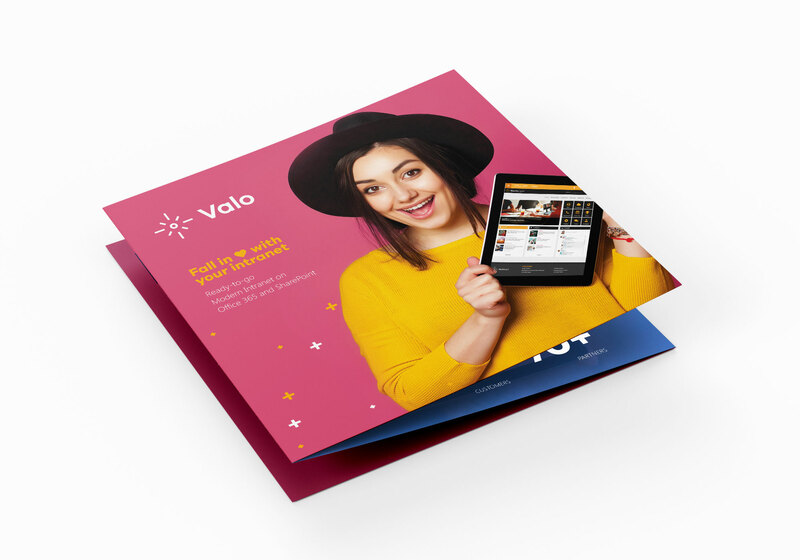 Check out what Valo Intranet packs. Intranet in a Box - Build a beautiful intranet in days, not months! Customers' Feelings - We help people to love their intranet and feel good: "Our new intranet looks awesome!" Peace of Mind as a Service - Let us keep your intranet up-to-date and aligned with Office 365 and SharePoint platform changes. You can concentrate on your core business. See how Valo brings much-needed modernity to antiquated intranets. Download your free guide! Just fill out the form to get started. And make your staff happier and more productive!